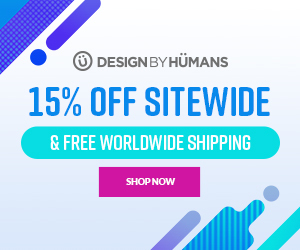 Design by Humans: Labor Day Sale + Free Worldwide Shipping - Blog @ That Awesome Shirt! Get 15% off sitewide and free worldwide shipping with coupon for Labor Day week long sale. Expires 6th of September, 2017.